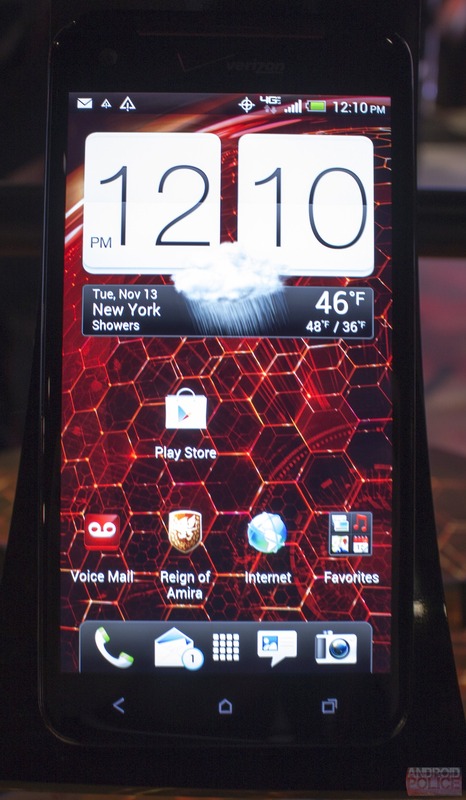 Hands on With The HTC DROID DNA: So Many Pixels! Greetings from New York! I’m here at HTC’s event checking out the DROID DNA. The DNA’s claim to fame (besides the ridiculous name) is that it has, literally, the best display ever made for a phone. This thing is packing a 1920x1080 resolution on a five inch screen. That's pixel density of 440ppi! 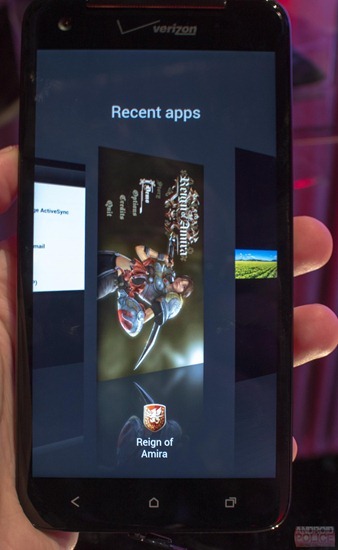 The display is a SuperLCD 3 panel, which makes it a generation better than the previous Best Screen Ever, the HTC One X display. So how does it look in person? Simply amazing. You don't see pixels anymore, just a smooth, perfect image. Color reproduction is accurate and beautiful, and it has an 80 degree viewing angle. It's really something you have to see in person to appreciate. 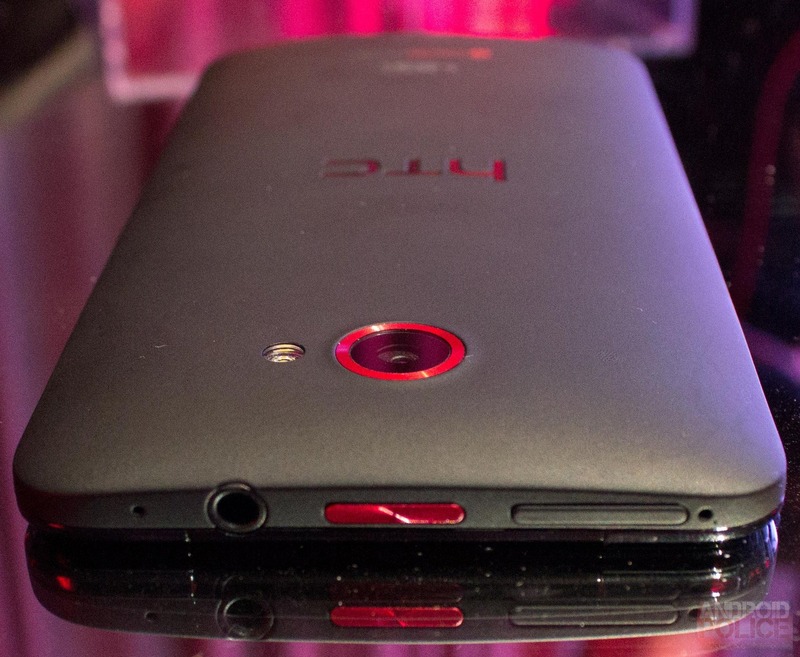 You're going to need some power to push all these pixels, and the DNA doesn't disappoint. You get a quad core, 1.5GHz Snapdragon S4 Pro and 2GB of RAM. The build quality is great. 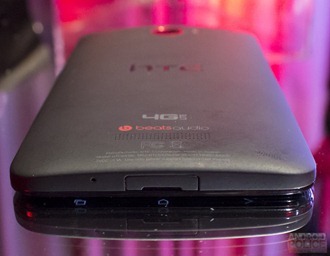 HTC is continuing the unibody polycarbinate process from the One X, so the whole thing feels nice and sturdy. The back has a small amount of flex to it, but nothing serious. The design is kind of questionable. 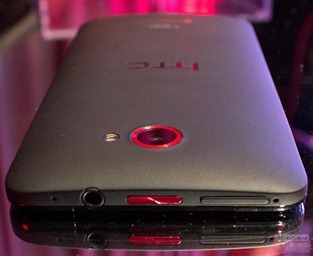 HTC claims the design inspiration was a supercar, so the sides have a crazy red speaker grill look. But they're small enough that you don't really notice them. There are red Verizon accents everywhere, though. The bottom charging port has a little cover on it, and hopefully, you'll be able to leave it covered, because HTC has equipped this thing with wireless charging! They had a few sitting on QI-compatible chargers at the event. Hopefully, between this and the Nexus 4, a trend is starting. 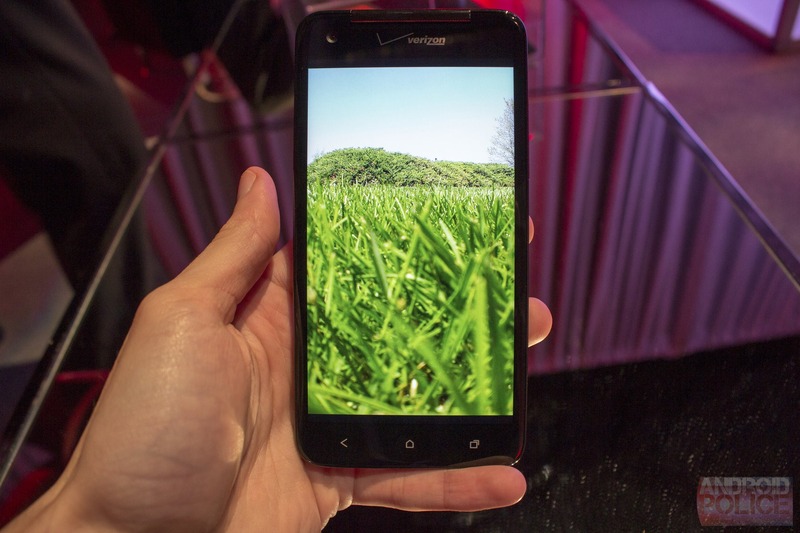 The software is being called "Sense 4+." It's a skinned version of Android 4.1. It looks a lot like Sense 4 on the One X or Evo 4G LTE. I couldn't spot anything new. Recent apps is still a mess, here I caught it displaying a horizontal thumbnail, and it still only displays 1 full thumbnail and 2 halves of a thumbnail. The rear camera is your now-standard 8MP, but the front one is particularly interesting. It's a 2.1 MP shooter with an ultra wide angle lens that HTC says triples the coverage area, which should be better for self shots. There is also a new "Sightseeing mode," which is basically a "be a camera now" mode. It will immediately launch the camera app when you hit the power button. That's neat. The audio is fantastic. HTC included separate amps for the headphones and speaker, so there is always lots of power to drive whatever you're using. And oh yeah, did you want one? You can pre-order right now for $199, with official availability coming one week from today.